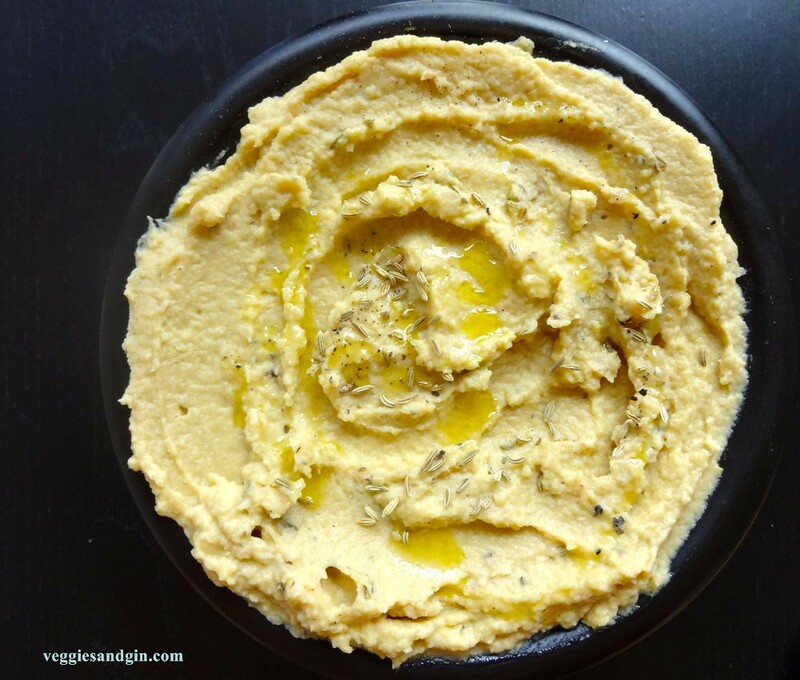 I am a hummus fiend and always have some in the fridge for snacks or an impromptu dinner. Much like tahini, avocados, and bananas, hummus satisfies that need for a creamy element in a dairy-free diet. Today, I am sharing my current favorite flavor: roasted fennel. 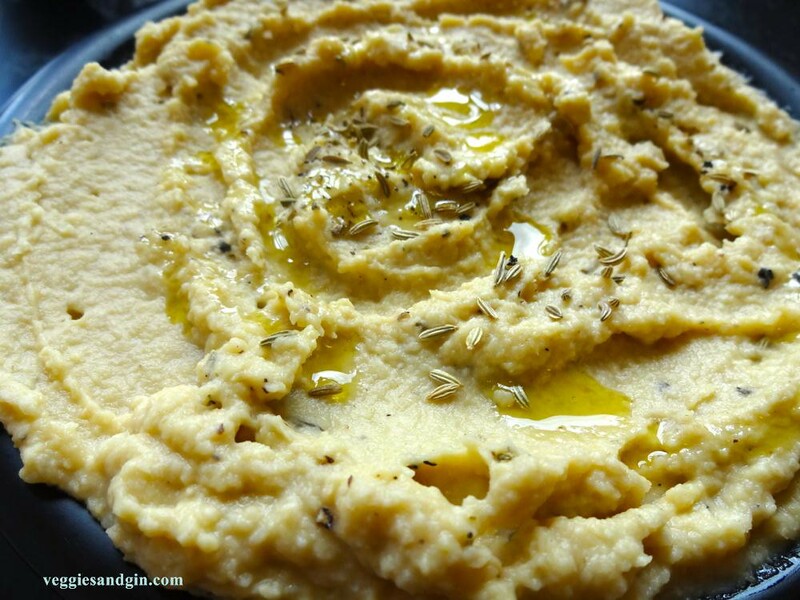 I am obsessed with this hummus and will be until next month when I roll out my other hummus experiments. Fennel - it's a divisive vegetable. Much like cilantro, people seem to either really love it or hate it. I personally adore fennel, licorice, and anise-flavored liqueurs but I realize that anise flavors are actually pretty difficult for a lot of people. 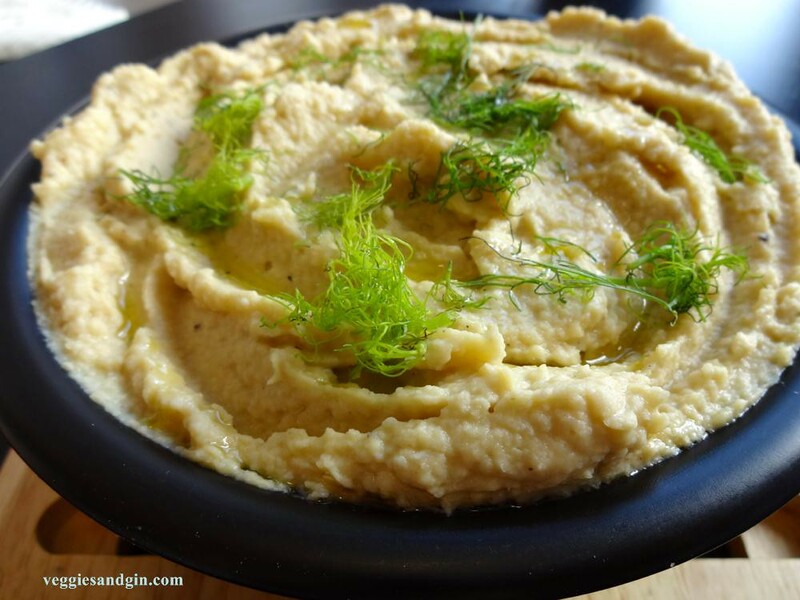 But even if you don't particularly love fennel, I suspect that you might like this hummus. The roasting process brings out fennel's natural sweetness, making it far less offensive than it is in its raw state. In fact, I think roasting is the best way to prepare any strongly disliked vegetable. (I plan to roast some okra one of these days to prove this theory.). Fennel is an extremely efficient vegetable and, for a long time, I wasted much of it, using only the bulb. But the entire thing can and should be used. The fronds are delicate and decorative - save them for salads or garnish. The long stalks remind me of celery and are perfectly edible as long as they're not too fibrous. I actually include them here when I roast the fennel. And the core of the fennel is my favorite part because I'm weird and I like to crunch on vegetable cores (cabbage and cauliflower are favorites). The core can also be sliced up and tossed into a salad. As for the chickpeas, you are welcome to use either dried or canned beans but I prefer dried. The flavor is better and they're easier to carry home from the grocery store. Also, if you cook them up with baking soda, as described below, they will be perfectly cooked in no time. There is some debate on whether or not chickpeas have to be meticulously peeled in order to obtain a perfectly smooth hummus. I will leave you with two solid methods of preparing the chickpeas and you can decide whether or not you want to bother with the peeling process. First, according to Smitten Kitchen, whether or not you use dried or canned chickpeas, you should peel them because it makes for a much smoother hummus. And when you look at her hummus, it's a pretty convincing argument. I have done it in the past and would have to agree that it does indeed make for a smoother, creamier hummus product. (Full disclosure: I did not peel the chickpeas here because I followed Ottolenghi's cooking method below. Also, the addition of chunks of roasted fennel here would probably prevent a completely smooth hummus but you get the idea.). SK claims this entire process takes only nine minutes. Peeling is pretty simple, too: take a chickpea between your thumb and next two fingers, with the pointy end facing in towards your palm, and slip the chickpea out of its skin. Discard the skin. On the other hand, Yotam Ottolenghi's hummus recipe in the very excellent Jerusalem requires no peeling. My adoration of Ottolenghi is pretty well documented by now so you can guess which method I followed. See below for cooking instructions. That's it. Start making your own hummus. Don't settle for those $1.99 tubs at Whole Foods, which I have to admit are pretty decent, but don't settle. 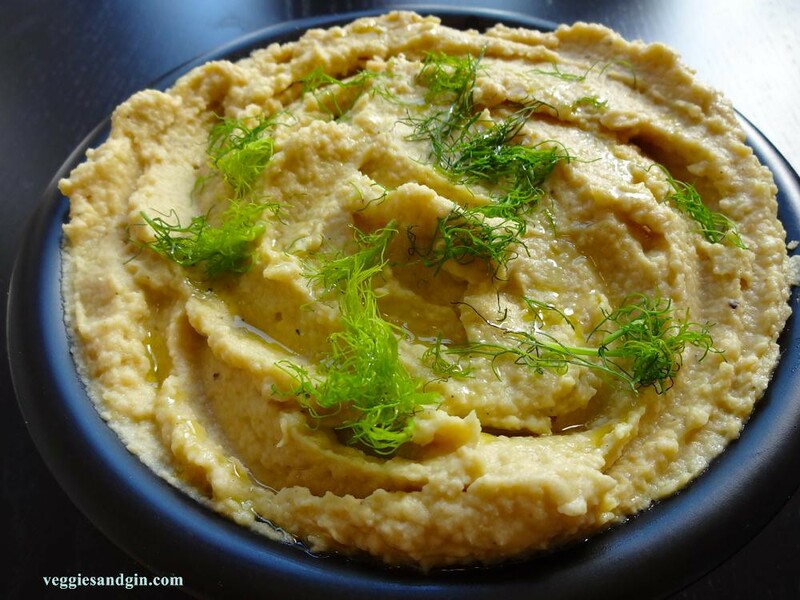 Homemade hummus is so much more flavorful and vibrant, and because the recipe contains minimal oil, tahini, and garlic, the end result is creamy, subtle, and completely refreshing. Perfect for summer. And parties. Summer parties. I beg you to try it. If using dried chickpeas, place the chickpeas in a bowl the night before and cover them with plenty of cold water. Allow them to soak on the counter overnight. The next day, simply drain and rinse well. To cook the chickpeas, add 6 cups of water, bring to a boil, and then let the chickpeas simmer for about 1 to 1 1/2 hours, or until very tender. When they're cooked, drain, and peel per SK's instructions, if you wish. Alternatively, to cook the chickpeas per Ottolenghi's (genius) method, add the drained chickpeas and 1 teaspoon of baking soda to a medium saucepan. Cook over high heat for about three minutes, stirring constantly. Add about 6 cups of water and bring to a boil. Cook, skimming off any foam or skins that float to the surface. This should take anywhere from 20 to 40 minutes, depending on the type and freshness of your chickpeas. Once done, they should be very tender and almost but not quite mushy. When cooked like this, the chickpeas are impossible to peel because they're so tender, so I usually do not bother peeling them. If using canned chickpeas, drain, and rinse well. Peel the chickpeas per SK's instructions, if you wish. If you do not mind a more rustic look, skip the peeling. To prepare the roasted fennel, preheat the oven to 425 degrees F. Trim the stalks and greens from the fennel bulbs. Save the greens for garnish. If the outer thick leaves of the bulbs are fibrous and tough, remove them and set them aside for another use (soup stock?). Slice each bulb in half lengthwise and cut each half crosswise into 1/2" thick slices. If the stalks are not too fibrous, slice the stalks into 1/2" thick coins and add them to the mix. Spread the sliced fennel out on a large baking sheet in a single layer and add just enough olive oil so that it doesn't stick to the baking sheet. Sprinkle with the dried oregano and a little bit of sea salt and freshly ground black pepper. Roast for about 20 minutes or until the fennel is completely soft and lightly browned. Set aside to cool and try not to devour it. Once the fennel and chickpeas have cooled, place the vegetables in a food processor and process until you have a smooth paste. Add the tahini, garlic, and lemon juice. With the machine running, add water, one tablespoon at a time, until the mixture becomes creamy and smooth. Taste for seasoning, adding more salt or lemon juice, if needed. Transfer the hummus to a bowl, cover with plastic wrap, and let it rest in the fridge for at least 30 minutes. Store in the fridge until you are ready to serve. Make sure to take the hummus out of the fridge at least 30 minutes before serving. For optional garnish, drizzle with olive oil, and scatter reserved fennel fronds and dried fennel seeds on top. This makes a lot of hummus but hummus freezes very well. Throw 1-cup or 1/2-cup portions into small freezer bags or wrap up in little wax paper or Press'n'Seal packages. Left in the fridge, though, it should be consumed within a few days.